Project Green Home is a proud holder of the Triple Crown in sustainability awards - LEED, NetZero, and Passivhaus! 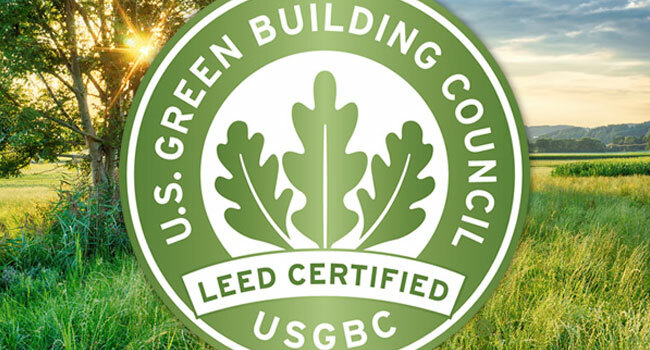 Leadership in Energy & Environmental Design (LEED) is an internationally recognized green building certification/numerical rating system, providing third-party verification that a building or community was designed and built using strategies intended to improve performance in metrics such as energy savings, water efficiency, CO2 emissions reduction, improved indoor environmental quality, and stewardship of resources and sensitivity to their impacts. The project received the highest ranking, Platinum certification in the LEED for Homes rating system. This verifies that the house is achieving the highest standards of green and sustainable design. In fact, the house well surprsses this rating. This system covers every aspect of home construction, from integrated design; the use of materials, energy and water; the building's interaction with the surrounding community; and the quality and health of the indoor environment. For a house our size and our climate, the difference between each of the LEED rankings (Certified, Silver, Gold and Platinum) as noted in the table below, is 15 points. We call our house "Beyond Platinum LEED", as PGH received a LEED score of 109 which is 22 points above Platinum and 46% greater than the delta between each of the rankings. In California, ZNE is defined as the amount of energy provided by on-site renewable energy sources is equal to the amount of energy used by the building. In essence, this means that the amount of externally generated electricity, natural gas or other energy stock used at the home must be equal to the energy generated by the home. This will be the 2020 standard for all new California residential construction. 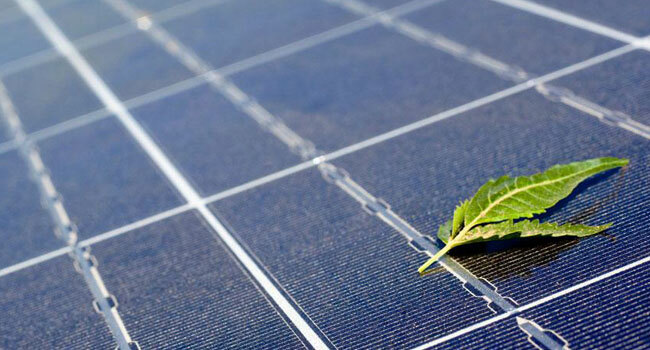 Depending on the location of the home, this can be accomplished by installing and operating photovoltaic (PV) systems (most common) but wind generation systems, small-scale hydropower and other on-site renewables are also options. To meet the state's ZNE goals, we installed a 5.9kW photovoltaic (PV) system to self-generate our electricity. This not only covers the annual house energy use but also 8,000 miles (2,000kWh) of electric car use. Passive House (Passivhaus in German) refers to the rigorous, voluntary, Passivhaus standard for energy efficiency in buildings. It results in ultra-low energy buildings that require little energy for space heating or cooling. Passive design is not the attachment or supplement of architectural design, but an integrated design process with the architectural design. In the United States, a house built to the Passive House standard results in a building that requires space heating energy of 1 BTU per square foot per heating degree day, compared with about 5 to 15 BTUs per square foot per heating degree day for a similar building built to meet the California 2003 Model Energy Efficiency Code. This is between 75-95% less energy for space heating and cooling than current new buildings that meet today's US energy efficiency codes. 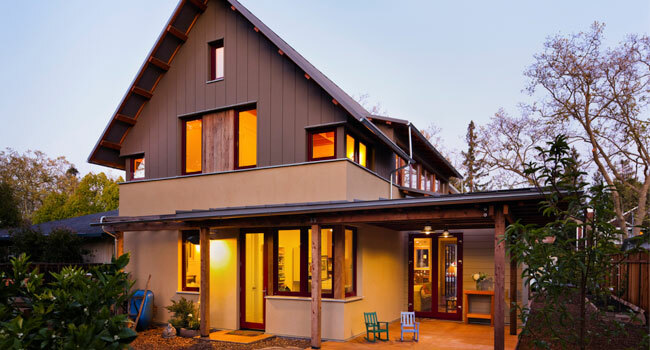 At present, essentially three components are needed to meet the Passive House standards: First, minimizing heat loss via insulation and building an airtight structure. Second, the home uses sunlight as its primary heat source in the winter. Third, in winter the heat in the air stream exiting the building is used to heat the incoming fresh air and vice versa in the summer time. To be certified as a Passive House, there are three quantifiable standards that need to be met along with the results from Project Green Home (PGH) testing. As a result, this objective has been met and likewise brings all the benefits of a Passive House. The Passive House Certification Documentation is found in Appendix 3 of our digital booklet.